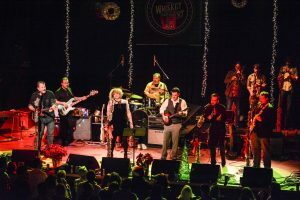 An Atlanta institution, The Whiskey Gentry has announced it will be returning to the Variety Playhouse on Dec. 8, 2018 for the 10th Annual Merry Y’alltide Celebration. The announcement comes with the news that this will officially be the final performance by The Whiskey Gentry. 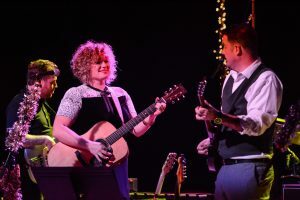 Recent months have seen the band take fewer engagements, as lead singer, Lauren Morrow has emerged with a new sound and self-titled solo EP. Rolling Stone profiled Morrow in its latest issue as one of their “10 New Country Artists You Need To Know” creating further buzz to already exciting news. “When Jason and I started The Whiskey Gentry, I don’t think we ever imagined how incredible this journey would be. We’ve toured the world, played music with some amazing people, and most importantly, created a family with a group of guys that we love like brothers,” — The Whiskey Gentry lead singer, Lauren Morrow. The final performance of The Whiskey Gentry will be accompanied by several special guests who will help get the crowd warmed up for this spirited evening. In addition, full details on the special guests along with comparative poster art will be revealed in the coming weeks. Advance tickets for the 10th Annual Merry Y’alltide Celebration are on sale now, starting at $20. Based on availability, tickets may be available at the Variety Playhouse box office the day of the show. Tickets are available online at www.ticketfly.com. This is an all ages show and doors open at 7:00 p.m. Furthermore, the 10th Annual Merry Y’alltide Celebration is presented by Zero Mile.